The team at our new store in Galesburg, Illinois is really making an impression on neighbors. Neighbor Charles took the time to write us a great note about how the magic just kept happening for him each time he came into the store! Never before have I experienced the outstanding customer service I have received each and every time I have entered your new store location in Galesburg, Illinois. My mother, who is 91 years old, has a King Charles Cavalier, so I do most of her errands including getting all the needed supplies for her dog, Myron. So last week she needed several items for Myron, a new leash, a new collar, and a long length yard leash. The moment I entered the store for the first time, I was greeted by Tracey at the cash register who welcomed me to the store and offered assistance if there was anything I needed. I explained to Tracey I was looking for a certain length of yard leash and a new collar for my Mom's King Charles Cavalier. Tracey immediately guided me toward the correct aisle and she paged Sara who met me there in seconds. Sara described the variety of yard leash lengths you carry. Aury then assisted me with finding a collar, and demonstrated the adjustment features. I purchased the 2 items and took them to my mom's house, and she was very pleased with the quality of both items. But I had a slight problem adjusting the collar for Myron, so I took it back to the store and Stephanie was close by the register and offered to assist me adjust the collar to the right length. I explained to Stephanie that I had purchased the collar for my 91 year old mother's King Charles Cavalier. Stephanie immediately inspected the large metal clip that opens and closes the collar, to insure that it would be easy for my mom to squeeze the two clips in order to open and close the collar. Amazing that she was concerned about the ease of opening and closing the clasp for an elderly woman! I took the collar home after Stephanie adjusted it and it worked perfectly. Mom can operate it just fine. Oh, it gets better! Mom's dog Myron is overweight. So a couple of days later I went back to the store to explore lower calorie food options. I asked an associate where the lower calorie dog food was stored, and the Manager Brian was close by, and he said, "Follow me sir, we have a good selection to choose from." I had numerous questions about low calorie dog food products, and Brian was patient, polite, professional, and VERY knowledgeable about each of the products and answered all my questions thoroughly. I know for a fact that Brian spent at least 20 minutes describing the benefits of each product. So, I went back to the store today and purchased the Natural Balance "Fat Dog" product. When I entered the store today, Tracey was at the cash register and asked me how the new collar and yard leash were working. WHERE DID YOU FIND THESE PEOPLE? You talk about an enjoyable shopping experience! You talk about superb customer service! 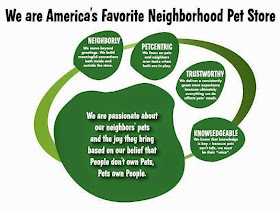 I know a lot of people in Galesburg, and a lot of my friends have pets. I myself have a cat named Hannah. I assure you I have already highly recommended your store to everyone I know, and will continue to do so. I have been in the hotel industry for years as a front office agent, so I know the importance of quality customer service. It has to be priority one. 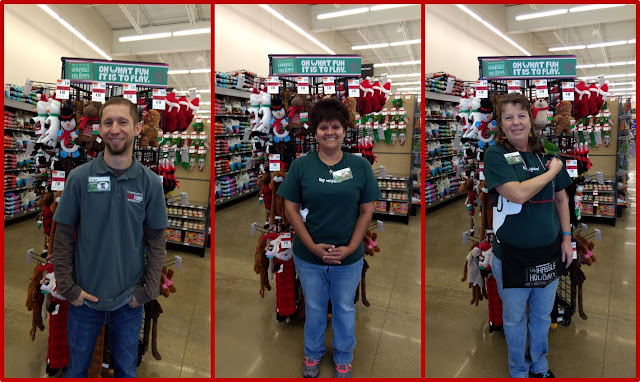 Customer care is immediately evident at your Pet Supplies Plus Store in Galesburg!! Frankly, I would recommend someone to "shop" there even if they didn't have a pet, just to see what real customer service is all about. Thank-you for coming to Galesburg! Brian, Stephanie and Tracey are rockin' the house!